← A Possible Allergy Fix? You’ve Got My Attention! 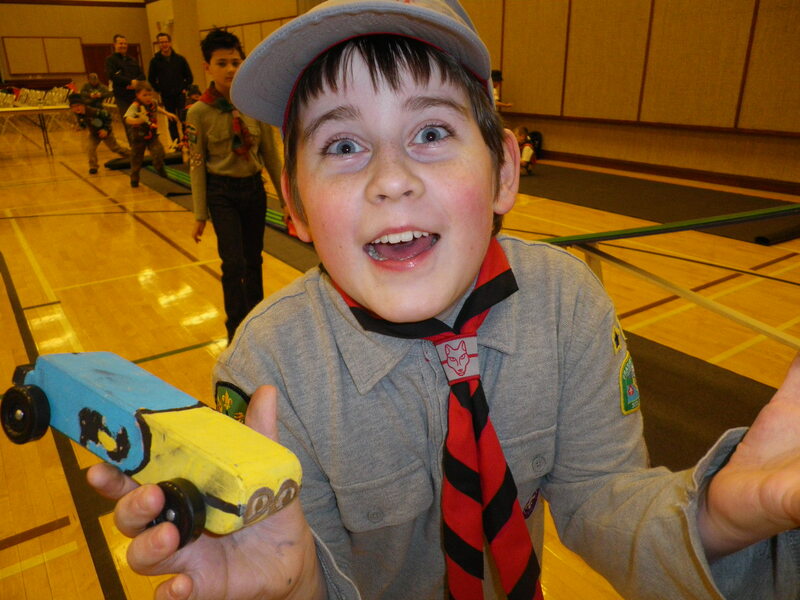 Not too long ago it was Kub Kar time! 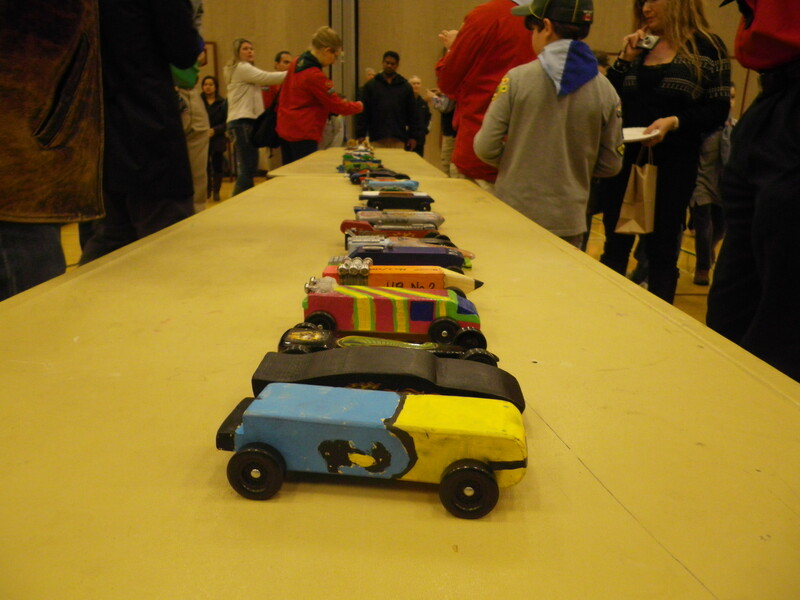 One of the highlights of my cub year is watching the cubs build their Kub Kars. They all start out with a block of wood and a set of wheels. The rest is up to them. First, they draw up a design on a piece of paper, then copy it onto their block of wood (keeping in mind that the wheels still need to be attached). Then the wood gets cut by a leader as the child looks on. Then the child sands their car until it is very smooth (I like to do the blind test where they close their eyes and just use their sense of feel). Then the painting and decorating takes place. Now that I’m in my second year as a cub leader, I’ve had an opportunity to watch some of the children mature a little. The first year cubs are usually in such a rush to get the wheels on their car that they take very little time or effort in painting and decorating. The second year cubs make much more of an effort and their cars generally look really great. The third year cubs’ cars can be quite spectacular. One cub in our pack has designed his to resemble the space shuttle, while another has designed an amazing Lego themed car. We have a nice mix of imaginative cars (hot rods and the like) and a few blobs. Daniel’s design was of a minion going down the track ‘skeleton’ style – head first. I didn’t realize how truly excited my Daniel was until I took a second look at a photo from race day. Now this is a child who’s having a great time! He didn’t win any awards, but he had a fantastic day racing. For me, that’s what counts. Other cubs in our group won prizes such as best design, and if memory serves me correctly, four of our cubs placed in the top ten. Way to go guys! Our section did well with earning “runner up” during uniform inspection. Our cubs tried their very best to arrive in full uniform – I was especially proud of the ones who made the extra effort to locate uniforms that we never thought they even had. I even pressed and “tucked” my red shirt (I’ve said in the past that H*** would freeze over before I’d tuck my shirt in). Unfortunately, one cub completely forgot his uniform and his parents didn’t go home to get it (we had plenty of time before judging), but then I may be losing sight of the big picture if I’m focusing so much on uniform appearance. Ahem. This entry was posted in everyday musings and tagged Daniel, excitement, Kub Kar. Bookmark the permalink.